If you love art, paintings and decoration, greenery and quietness, this bed and breakfast is the one you need. 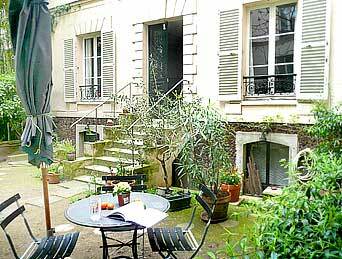 In the heart of Paris, inside a large family house with a private garden, the ’suite’ which is offered to you is located in a former famous painter workshop, the grand-father of your host. The bed is Queen size, the private bathroom is ’en suite’ with the bedroom, you will also have a prive living room... a real luxury for a very small price.